For well over 200 years the outlines of King William's private garden at Hampton Court lay in secret under the soil. Today, after pioneering archaeology and exciting discoveries in the archives, the most ambitious garden reconstruction ever undertaken has brought the magnificent ensemble back to view. The two authors have been closely involved from the very beginning. Mavis Batey, President of the Garden History Society, leads with a history of the garden from Tudor times to the overgrown shrubberies of recent years. 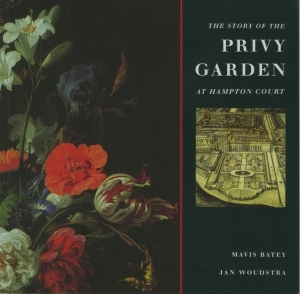 Jan Woudstra, the landscape historian responsible for the planting schemes in the Privy Garden, follows with a lively account of the remaking of the garden. He reveals the thinking behind it and the mechanics of the vast operation of the planting. The Story of the Privy Garden at Hampton Court, with its sumptuous illustrations, several of which have never been published before, must amount to one of the most fascinating accounts of a reconstruction project ever told.